Nana is a dynamic professional engineer with over 12 years of post-graduate work experience in international infrastructure and extensive project management experience. He has extensive practical experience in the energy and utilities sector with focus on thermal and renewable power generation in Ghana and United Kingdom looking at project development, project implementation, advisory, cost estimates for large-scale projects and project management. Kofi worked as an electrical engineer with the Volta River Authority (VRA) for over 12 years in power system planning and commercial development of various projects, including the 220 MW Takoradi International Company IPP gas turbine power plant, 93-MW Atuabo Power Project and 1000MW Prestea Industrial Power Park. 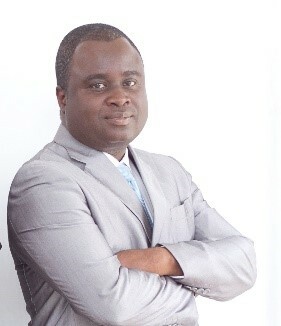 He has also managed the VRA/Government of Ghana interest in the West Africa Gas Pipeline during the development phase.During his ten-year corporate and investment banking career, Kofi arranged project financing and syndicated lending financing for various major infrastructure projects and for the Government of Ghana.Kofi Agyemang holds a BSc. in Electrical Engineering from the Kwame Nkrumah University of Science and Technology, Ghana, a MSc. in Finance from the Strathclyde University, Scotland, and an MBA as a Sloan Fellow from the Massachusetts Institute of Technology, USA. George is an Electrical Engineer with over 16 years’ experience in operations and maintenance management for electric utilities.He worked for the 220MW TAQA International Operating Company (previously the CMS International Operating Company) as the Operations and Technical Plant Manager in the western region, Ghana.George was a Consultant for the 126MW CENIT Energy Limited plant where he served as Technical Advisor in the area of LTSA, O&M, SSA, ICA and PPA contracts. George holds a Post Graduate Certificate in Finance and Accounting from University of Liverpool and a BSc in Electrical Engineering from Richmond University.George holds a Post Graduate Certificate in Finance and Accounting from University of Liverpool and BSc in Electrical Engineering from Richmond University. Sampson is the General Director responsible for Electrical Business Units Finance, Accounts and Audit, Executive Remuneration, External Relations, Investor Relations and Legal Matters. Prior to joining GTS, he was the Chief Operations Officer at ScanStyle MIM Limited. © 2016 (GH) Ltd. All Rights Reserved.